The Curse of Chalion is a novel which I think is almost criminally under-read. Cazaril is a fantastic protagonist: flawed, sympathetic, and ultimately heroic - in an interesting way (secretaries don't go in for your everyday heroics, you see). Before the novel, Cazaril was a castle warder: omitted (intentionally) from the list of those to be ransomed following a siege, he was instead forced into slavery as a galley slave. Yes, it's a fairly tragic past, but Bujold uses it deftly: it's not belted out to other characters in a 'look, I'm really quite tragic and just look how angsty I am' monologue, but introduced gradually. 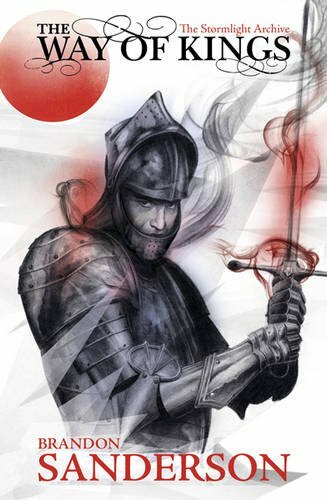 It's also overcome and plot relevant - Cazaril is forced to confront, rather than be defined by his past, and it makes for interesting character development. 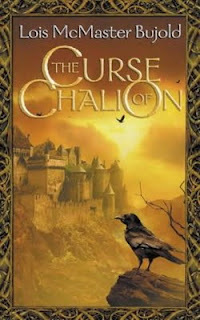 This betters one of fantasy's typical conventions: and The Curse of Chalion is a great novel for it. In most fantasy, magic seems to glow for no discernible reason - it's not an irritating convention, but an unexplained one, and something that should perhaps be thought twice about. Many modern fantasists have been opting for subtler magic systems, but The Stormlight Archive shows that you can still have pretty lights if you give a reason for it. In The Way of Kings, the magic system we first glimpse is based on stormlight - light stored from passing storms. When this is used to perform magic, the light itself is also released: so there's a reason for power to glow. A Madness of Angels puts a twist on the trope: yes, Matthew Swift is possessed by the blue electric angels - but they're cohabiting. Swift's narration might be slipping regularly into pupils, but the angels aren't bad - or good. They're spirits of information and electricity - waste life poured into the telephone system - and the real world is interesting enough for them already: they've got no need to destroy it. This uneasy shared human/inhuman personality makes Matthew Swift's own heroic journey an interesting one, and I strongly advise you to check it out. I've reviewed A Madness of Angels, and it is every bit as awesome as its title. So, these were my choices: what are yours? And which conventions should I feature in my next post? These look interesting! Don't be a stranger; stop by my blog and say hi! Story that begins with the destruction of the hero's quaint/rustic/indigenous/generally innocent village. Yes, 'A Madness of Angels' definitely is a great read (and its sequels don't disappoint either). IMO, the magic system was particularly interesting: it lent itself to both mechanics (ie. non-deus-ex-machina resolutions) and a nice, mysterious atmosphere, when normally one is traded off for the other. Now, that is a good convention for next time! I can't believe I forgot it.